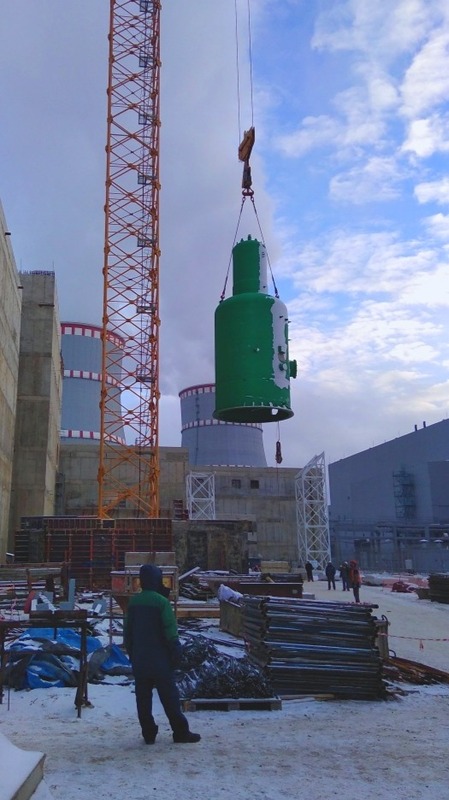 First, deaerator weighing approximately 17 tons was moved from horizontal to vertical position with a tower crane. Then it was lifted and installed to the design position at the +8.400 elevation of the auxiliary building through the lock. Once the deaerator is fixed on the foundation slab, the process systems pipelines will be installed and connected. Deaerator is intended to mix demineralized water with boron concentrate. This water is feeding the first circuit of the reactor.